True academic success is not measured at the end of the semester, but 10 or 20 years down the road. 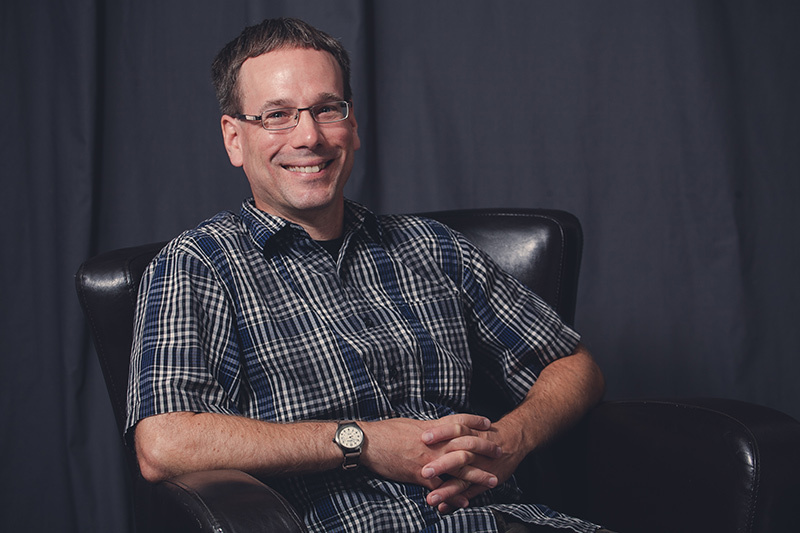 As a scholar and a teacher, David's basic priorities are studying the New Testament in its first-century Jewish and Greco-Roman contexts and learning with students what it means to hear and respond to the Bible's address to Christians today. Growing up in Kenya as a child of missionary parents gave David a love for international travel. He and Tenyia were married on a semester break during a year of study in Israel, and in 2007 they spent a vacation visiting archaeological sites in Turkey. David returned to Israel in 2009 as one of the leaders of Briercrest College and Seminary's first Israel Study Tour; in 2013 he organized and co-hosted Briercrest's first Study Tour of Turkey and Greece. In his free time, David enjoys reading, spending time with his family, and experiencing life outdoors under the amazing Saskatchewan sky. Wendel, Susan J. and David M. Miller, eds. Torah Ethics and Early Christian Identity (Grand Rapids: Eerdmans, 2016). Miller, David M. "Reading Law as Prophecy: Torah Ethics in Acts." Pages 75-91 in Torah Ethics and Early Christian Identity. Edited by Susan J. Wendel and David M. Miller. Grand Rapids: Eerdmans, 2016. Miller, David M. "Ethnicity, Religion and the Meaning of Ioudaios in Ancient 'Judaism.'" Currents in Biblical Research 12.2 (February 2014): 216-265. Miller, David M. "Ethnicity Comes of Age: An Overview of Twentieth-Century Terms for Ioudaios." Currents in Biblical Research 10.2 (February 2012): 293-311. Miller, David M. "The Meaning of Ioudaios and its Relationship to Other Group Labels in Ancient Judaism." Currents in Biblical Research 9.1 (2010): 98-126. Miller, David M. "Seeing the Glory, Hearing the Son: The Function of the Wilderness Theophany Narratives in Luke 9:28-36." Catholic Biblical Quarterly 72.3 (July 2010): 498-517. Miller, David M. "Whom Do You Follow? The Jewish Politeia and the Maccabean Background of Josephus's Sign Prophets." Pages 173-183 in Common Judaism: Explorations in Second-Temple Judaism. Edited by Wayne O. McCready and Adele Reinhartz. Minneapolis: Fortress Press, 2008. Miller, David M. "The Messenger, the Lord, and the Coming Judgement in the Reception History of Malachi 3." New Testament Studies 53.1 (2007): 1-16.